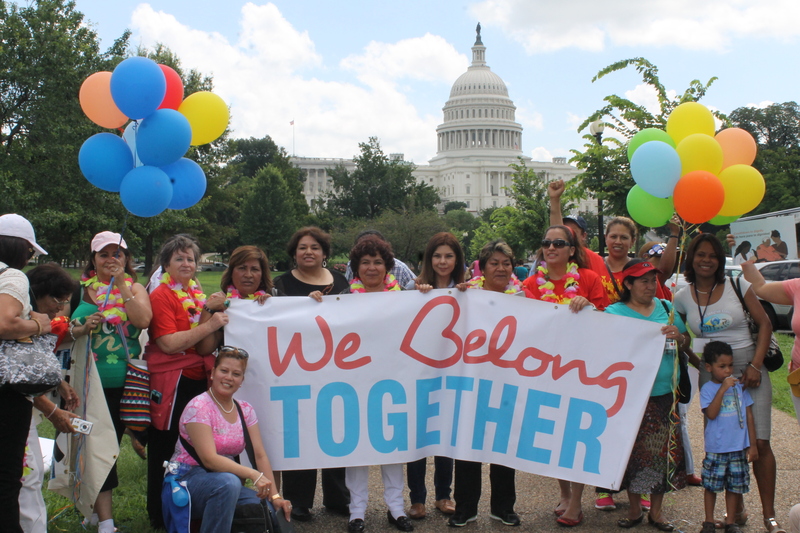 MUA has been at the forefront of national immigrant rights work via the fight for a pathway to citizenship as part of We Belong Together (WBT), an initiative of the National Domestic Workers Alliance and the National Asian Pacific American Womens Forum. 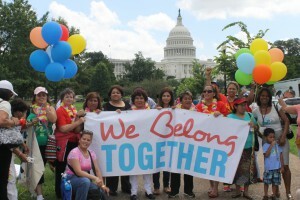 WBT mobilizes women in support of common-sense immigration reform that will keep families together and empower women. 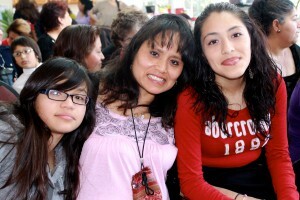 Immigration reform is rarely thought of as a women’s issue, but in fact it is central to the fight for women’s equality. 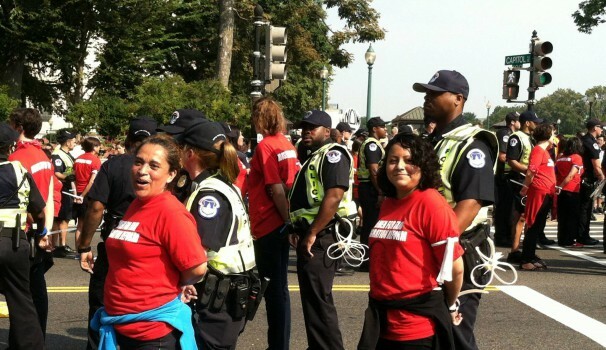 Over 100 women from across the country, including 8 MUA members and staff, participating in a civil disobedience demanding comprehensive immigration reform & a stop to deportations in Washington D.C. Include a broad and clear road map to citizenship that recognizes the contributions of women’s work and women workers. Recognize women’s work in future employment categories and protect women workers on the job. Ensure protections for survivors of violence and trafficking. Protect families and ensure due process. 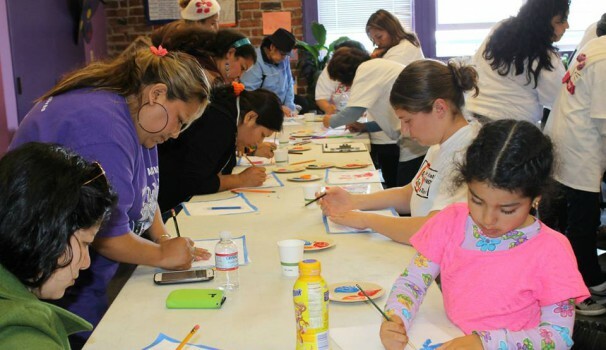 Promote immigrant integration that includes and empowers women. With Obama’s recent announcement of administrative action comes a sigh of relief for the 4-5 million people who will be affected by the announcement. We see the announcement as a direct result of many years of organizing and pushing for stability and safety in our immigrant communities. 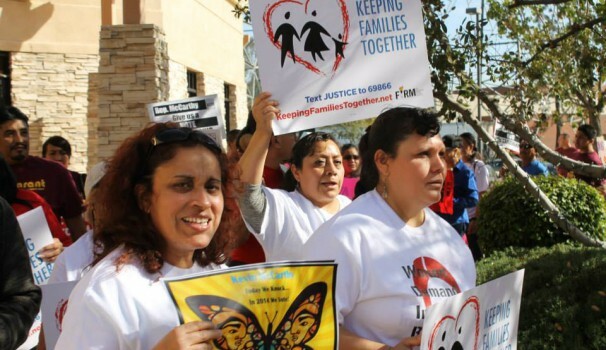 Over the coming months, MUA will provide direct legal services and support to hundreds of our members and their families who qualify for DAPA or DACA. We see this moment as a critical opportunity to organize our community and galvanize our movement. We also recognize that the work ahead of us continues beyond administrative relief. We will not stop until all of our community members are able to live in dignity and without fear.